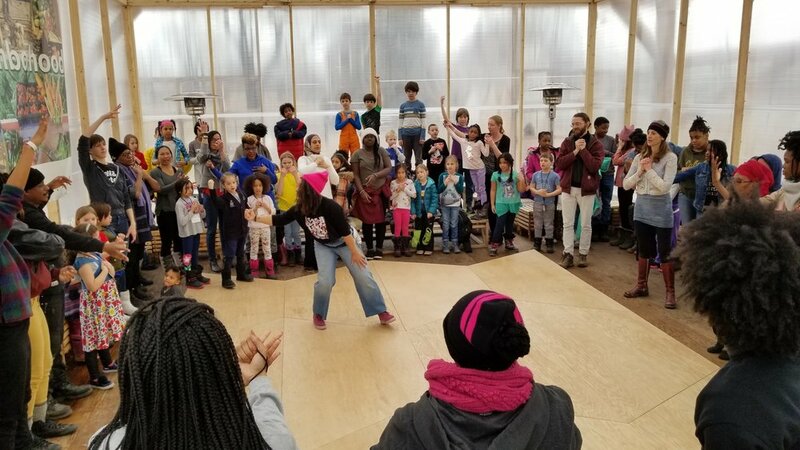 On Tuesday, February 26, Sweet Water Foundation sparked the Radical Imagination of more than 80 children, families, students from Chicago Free School, and artists in the Lightbox Theater & Gallery during the Urban Bush Women's Community Sing at The Commons. 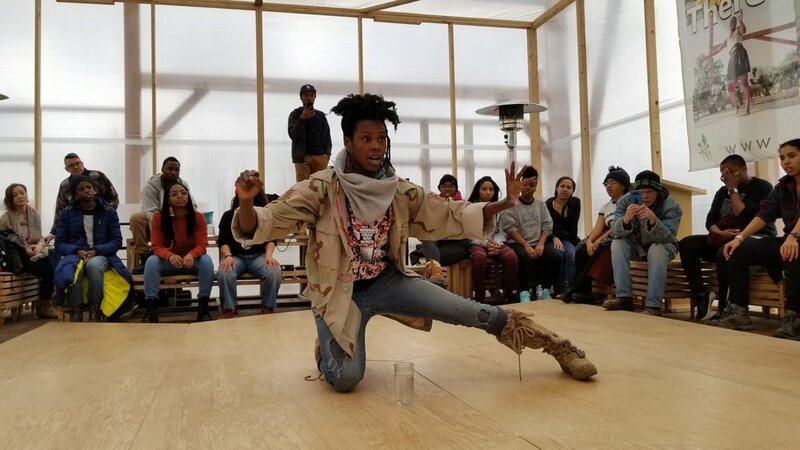 The space was activated by the power of song, dance, and community. 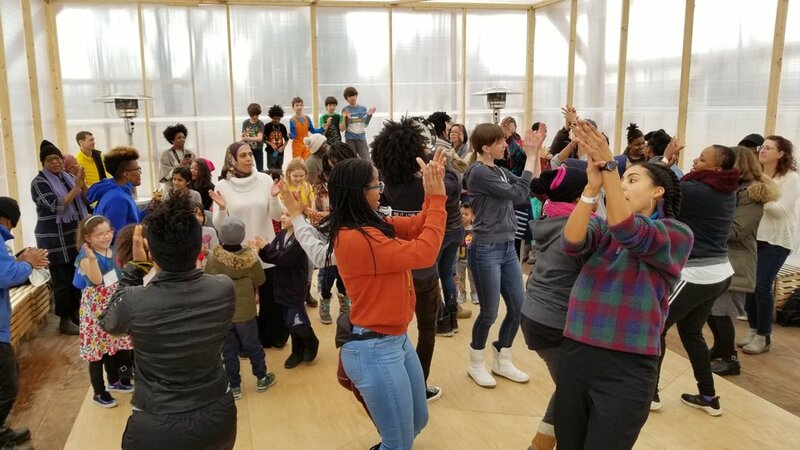 The Community Sing was the first workshop in the “Radical Imagination Workshop Series,” welcoming an intergenerational audience to express their creativity and story through song + dance. 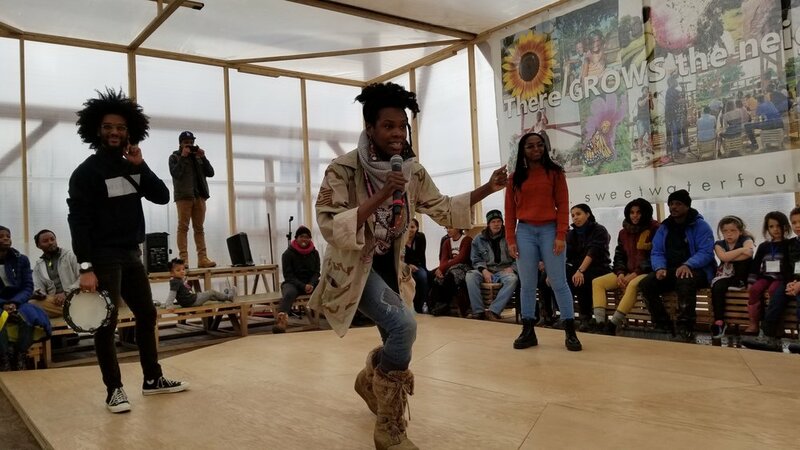 Read on to learn more about how an intergenerational group of people brought The Commons to life on a cold, wintery afternoon. The Urban Bush Women, based out of New York, visited Chicago for a three-night performance at Columbia College. Over the past year, Sweet Water Foundation has been strengthening its relationships with Columbia College via connections such as Onye Ozuzu and Project Tool. On the afternoon prior to their first show, four members of the Urban Bush Women company visited The Commons for a Community Sing. The audience sat around the perimeter of the Lightbox Theater + Gallery Space and were invited to stand, dance, gather in the center, clap hands, stomp feet, and sing as a “collective celebration of the gifts we have been given.” SWF visitors often express feelings of being at home and welcome to express themselves at The Commons. 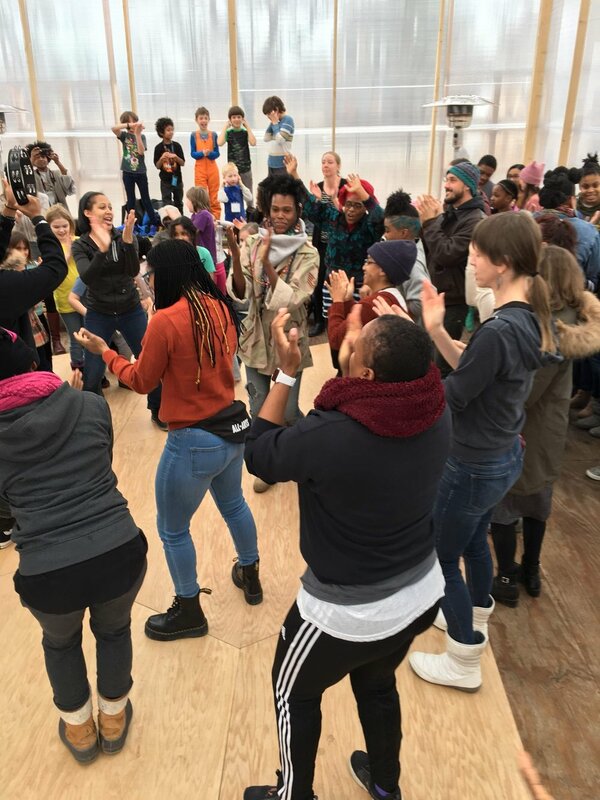 During the Community Sing, these feelings permeated every inch of the space and participants of all ages connected with each other and the community through song and dance. True to its purpose, the Lightbox Theater + Gallery Space became a space of healing, sharing, community, rejoicing, and reflection. The entire SWF team was excited to host the Urban Bush Women’s Community Sing and looks forward to hosting them again at The Commons!